A massive ice jam clogged the Susquehanna River for miles through the heart of Wyoming County on Tuesday, keeping riverfront residents and emergency management officials on edge. The National Weather Service extended a flood warning for central Wyoming County, as well as low-lying areas immediately downriver in Lackawanna and Luzerne counties, another 24 hours until tonight at 7:15. The ice jam formed Monday on the river just south of the area in Tunkhannock Twp. 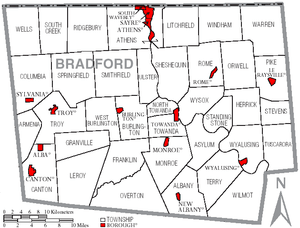 where Route 307 intersects Route 92. By late Tuesday afternoon, broken ice behind the jam was backed up to the Vosburg Neck area of Washington Twp., a distance of 11 miles. A week after a report found that dams in Lancaster County and Maryland are no longer trapping polluting farm and urban stormwater runoff, the Maryland Department of the Environment says it plans to deny a water-quality permit renewal to the Conowingo Dam. Exelon, the owner of the hydroelectric dam on the Susquehanna River in Cecil County, Maryland, has been seeking relicensing renewal from the Federal Energy Regulatory Commission. The dam also needs a water-quality permit from Maryland to operate. The state’s Department of the Environment says Exelon hasn’t fully supported its contention that the dam’s reduced ability to trap sediment is not harming the Chesapeake Bay, about 10 miles downriver, the Associated Press reported. She ain’t exactly a thrill ride, and she ain’t always pretty. And in the past she’s been downright mean. But the Susquehanna River belongs to the region, and plenty of people love her just the same. Dozens of them kicked off Riverfest 2014 Friday with a kayak trip, paddling several miles from West Pittston to Nesbitt Park in Wilkes-Barre. 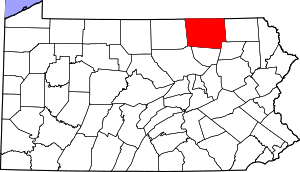 Gas leases on state game lands in Bradford and Susquehanna counties have earned the Pennsylvania Game Commission $32 million in signing bonuses since 2008. The Game Commission signed leases on 11 parcels of game land in the two counties. No leases have been signed on game lands in Wyoming and Luzerne counties. Royalties vary from 20 to almost 29 percent. Some gas companies are deducting the costs of moving and marketing the gas from royalty payments, the same as they do for private leaseholders. Mike DiMatteo, who oversees oil and gas development on game lands as chief of the commission’s division of environmental planning and habitat protection, confirmed that gas companies have deducted post-production costs from royalty payments, although never enough to send the Game Commission a royalty statement with a negative balance, as some private landowners have reported. The practice has drawn anger even from Republicans supportive of the industry, including Gov. Tom Corbett and state Sen. Gene Yaw, R-23, Williamsport. Both named Chesapeake Energy Corp. as a major offender. A white supremacist group sponsoring a neighborhood crime watch just across the Susquehanna River in York County says membership in Pennsylvania is strong. “Members could be the guy who is delivering your pizza. It could be law enforcement from the local sheriff’s office. It could be the nurse taking care of you in the emergency room,” Frank Ancona, the organization’s imperial wizard and president, told PennLive reporter Eric Veronikis. But Ancona did describe Pennsylvania as a “strong Yankee state” and said the Traditionalist American Knights’ reach includes “greater Pennsylvania,” West Virginia and western New York. 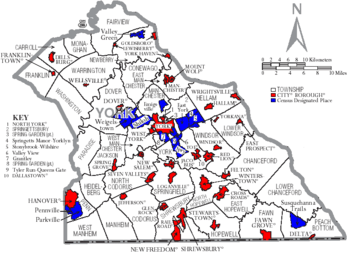 CONYNGHAM TOWNSHIP, PA — When state Sen. John Yudichak and state Rep. Gerald Mullery were growing up, they used to play in the shadow of the Avondale Mine area and the Plymouth flats. The two legislators, both 43 and friends since boyhood, are familiar with the landscape that Friday became part of the Enhance Penn’s Woods project — a two-year, more than $200 million initiative launched by Gov. 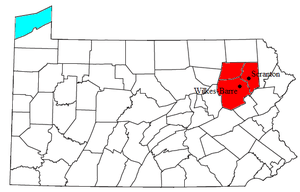 Tom Corbett to repair and improve Pennsylvania’s state parks and forests. At a chilly news conference Friday on the banks of the Susquehanna River, Department of Conservation and Natural Resources Secretary Ellen Ferretti announced the state will add more than 3,000 acres to the Lackawanna State Forest with the acquisition of the Mocanaqua tract in Conyngham, Newport and Slocum townships. HARRISBURG, PA — Jeff King had put his house in Wilkes-Barre up for sale for $90,000 last year, put off by the city’s struggles with crime and the desire for a better school district for his four children, when he got a surprise: The prospective buyer discovered that her annual flood insurance premium would be $7,015, higher than 12 months of mortgage payments. Even though President Barack Obama signed a law Friday to ease the sharpest premium increases for policyholders receiving subsidies from the National Flood Insurance Program, King is resigned to never selling the house, which is about a mile-and-a-half from the Susquehanna River. The writing, he said, is on the wall. “Any educated buyer is going to stay clear from a home in the flood area,” King said. Across Pennsylvania, with an estimated 86,000 miles of creeks, streams and rivers, the premium increases could deliver a gut punch to the state’s legion of old river cities and towns still struggling to recover from the loss of their industrial core. 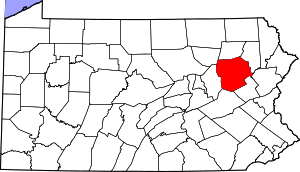 The North Branch Land Trust is about to preserve a 3,000-acre parcel of some of the finest forest land in Pennsylvania. And, eventually, the goal is to protect an entire mountain ridge and create a protected forest that will run from Mocanaqua north to Crystal Lake and a connection to existing state forest lands. It will be the North Branch Land Trust’s most significant move in its 21-year history of saving and preserving parcels of varying size. When acquired, the 3,000 acres will boost to 15,000 acres the total land mass preserved via the trust. One sidelight to the success of the land trust is its support of the trails system being developed in the Delaware and National Heritage Corridor. The land trust is playing a role in extending a trail from Mountain Top to Oliver Mills in Laurel Run Borough and then around the mountain to Northampton Street in Wilkes-Barre Township. HARRISBURG, Pa. (AP) – State game officials say the number of bald eagles in the commonwealth has grown dramatically three decades after efforts to restore the population began. The Pennsylvania Game Commission says 252 eagle nests have been confirmed throughout Pennsylvania so far this year, with nesting sites in 56 of the 67 counties. That represents a big increase from last year’s midyear report, which noted only 206 confirmed nests in 51 counties. Mayor Thomas Leighton has met with City officials and emergency services chiefs and announced the following minimum precautionary measures in the areas of Solomon Creek and Hollenback Golf Course in accordance with the storm predictions from the National Weather Service over the next 36 hours. • The bridge located at Waller and South Franklin Streets will be closing at 5:00 p.m. today. • The Barney and Regent Street bridges will remain open while weather conditions are monitored throughout the evening hours. • Police and Fire Departments will monitor creek levels and flood prone areas throughout the storm. The Luzerne County administration is rethinking plans to cancel participation in a state bug spraying program, sources say. County management eliminated $75,000 from the 2013 budget for blackfly spraying because the state did not supply documentation showing the program has proven results. The administration had planned to conduct spraying in-house if problems surfaced. However, some County Council members and citizens expressed concern about pulling out of the program. An Upper Leacock farmer fed up with birds of prey killing his free-range chickens has been charged with shooting an immature bald eagle. 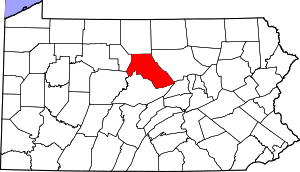 The Pennsylvania Game Commission charged Paul A. Zook, 28, of the 100 block of Geist Road with two misdemeanors of the state Game and Wildlife Code. One count is for killing an endangered or threatened species and one count is for unlawful taking and possession of protected birds. Zook, an Amish farmer, could face up to two years in jail and fines up to $5,000 if found guilty and depending on the feelings of the judge. In addition, a judge could require Zook to pay up to $5,000 to “replace” the eagle. LOCK HAVEN – Hurricane Sandy has this region buzzing about the potential loss of power, high winds and even high water. City officials are aware of the situation and ask everyone to cooperate to get through the next few days as the remnants of the superstorm blow through the region. The city does not have enough temporary stop signs to cover every intersection with traffic signals, so if the electricity goes out and the signals go dark, drivers will have to use care, City Manager Richard W. Marcinkevage said. “Use common sense and the rules of the road,” he advised. 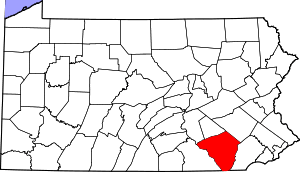 With the expected onslaught of Hurricane Sandy looming, shoppers on Sunday in Bradford County stocked up on groceries and the county commissioners signed a Declaration of Emergency. “We’re taking the position that we don’t want to underestimate any part of this storm, and we’re trying to be very proactive at getting in front of this incident so everything is in place before we need it,” said John Ambrusch, the county’s emergency manager. People have forgotten about the devastation caused by September’s flooding in various parts of Pennsylvania. Here is a good example of the where things are five months later! Redner’s Warehouse Market will not reopen in the Mark Plaza, Edwardsville, Pa., a spokesman said Tuesday. The store was under water in September when the Susquehanna River crested at 42.66 feet and has been closed since the flooding.